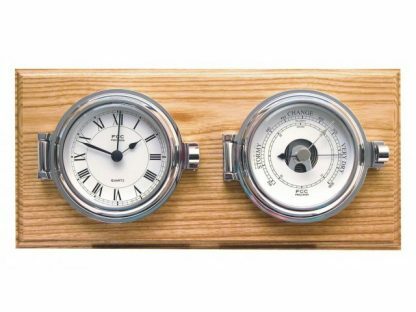 This clock and barometer set is pure quality! Chromed over solid, cast brass which has then been lacquered and varnished. Fitted with rubber sealing rings, making this clock and barometer set particularly suitable for boats. 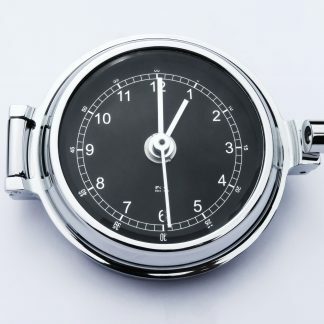 An attractive feature of this barometer is the open dial allowing the attractive chrome plated mechanism to be seen. The hinged door allows easy access for instrument adjustment. Features bevelled glass fronts. The clock is quartz driven. The clock and barometer are mounted on a solid ash plinth. 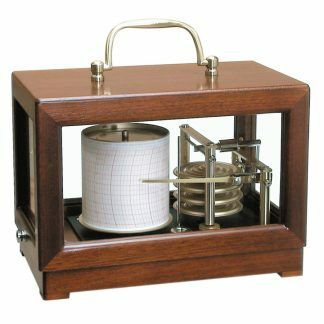 This clock and barometer sets makes a very special presentation gift, equally suitable for use at home or on the boat. This clock and barometer set is pure quality! Chromed over solid, cast brass which has then been lacquered and varnished. 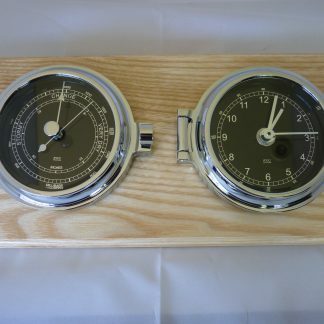 Fitted with rubber sealing rings, making this clock and barometer set particularly suitable for boats. 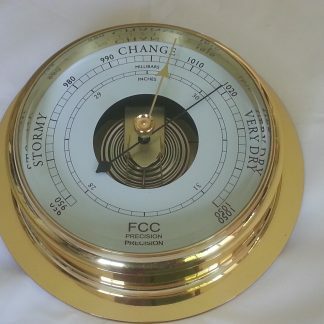 An attractive feature of this barometer is the an open dial, allowing the attracted mechanism to be seen. The hinged door allows easy access for instrument adjustment. Features bevelled glass fronts. The clock is quartz driven. The clock and barometer set are assembled onto a solid ash plinth. 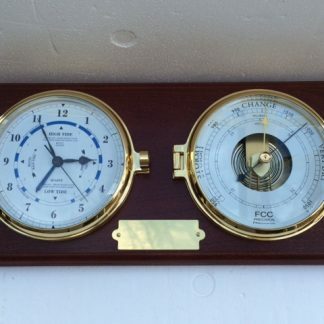 This clock and barometer sets makes a very special presentation gift equally suitable for use at home or on the boat.